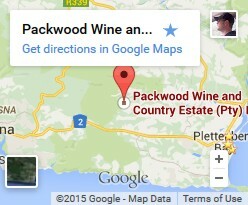 We’ve listed six days packed full of great holiday activity ideas near Plett that can be incorporated into our long stay special at Packwood Wine estate. There are so many attractions and activities on offer that most of our guests wish they had booked more nights. To keep everyone entertained, follow our itinerary below where we highlight all holiday activity options on and around the wine estate as well as the best attractions to visit near Plett and Knysna. Arrive (preferably), early afternoon, so that we can check you in and show you around before the sun sets. You will find that we have stocked your fridge with some delicious complimentary treats to set you off to an organised start. We will provide you with tea, coffee, a slab of butter and fresh Jerseylicious milk from our dairy. For longer stays, additionally expect any selection of bacon and eggs, fresh crusty home-made bread, fresh fruit and of course, a special complimentary bottle of Packwood Sauvignon Blanc or even bubbly if you are on honeymoon! At dusk, enjoy your first taste of Packwood wine from the comfort of your own deck. Wake up to the sound of singing birds and get up whenever you feel ready. We recommend that you spend your first day relaxing by the pool and absorbing the beauty around you. A “doing nothing” day should be on everyone’s holiday activity list. Your view looks out towards the ocean, and across our estate, 1000’s of acres of rolling farm land and our dairy. A short walk across to the stables you will also see our vines. Why not visit our “lunch box” today and combine it with a wine tasting? We serve home-made cheese from our Jersey cows with fresh garden salads, crusty breads, home-made chutneys and preserves. Read more about our wines here. If you need to pop into town for some food shopping, both Knysna and Plett (each, 30 minutes drive away) have a good selection of supermarkets and grocery stores. Today could be a good day for exploring the estate a little more depending on your interests. A short walk from your cottage, towards the stables will take you to our vineyard. You will first come to the Sauvignon Blanc grapes followed by the Chardonnay and then the Pinot Noir. If you would like to picnic in the pine field, let us know and we will prepare you a pic-nic at the “Lunchbox“. If you would like to meander down to the dairy, through the farm, please let us know and we will tell Heiny (our estate manager), that you are on your way. Take the road less travelled located behind the office and continue down the shady dirt track (wear proper shoes please, it can be stony). Please close the gate behind you when you enter the field. Walk along the edge of the field alongside the fence down to the farm. As you get to the dam cross over and follow the track to the right. At the top you will see Heinys house. Follow the track leading to the barns. The dairy is ahead of you. There are always people about in the week but much quieter at the weekends. You may see our heifers or calves grazing in the fields next to the trees. NB. Please take caution as you approach the barns! This is the heartbeat of our farm and our tractors and machines are are at work, moving regularly in and out of the sheds with tight schedules. They may not expect to see you. When you get to the workshops, turn right and walk to the end of the road, then turn left and follow along towards the dairy. We milk around 3pm and 6am. If Heiny is around, he always takes the time to chat about his Jerseys. If you feel like stretching your legs further, keep on walking. The farm road continues to Wittedrift, which is approximately 15 kilometres away. See our exact location here. Remember the walk down to the farm is easy. Walking back up the hill is more challenging. Today could be a good day for a spot of fishing. You now know where the two dams are. Expect to catch black bass or talapia. Both dams are a good size, and whilst we do have 2 fishing rods to lend you, keen fisher-people may prefer to pack their own rods. We have a catch and release policy. If you are less into the fishing, and more into the birding, Packwood and the surrounding forests have an enormous variety of birds. The dams are a great place to spot water birds; we often see (and hear) the Fish Eagle. A walk towards the stables or into the forest will increase your chance of seeing the beautiful Knysna Lourie. You will often also see them around our houses. Listen out for their distinctive call! You will have to decide whether you really saw the elephant, or whether your last glass of wine at dinner influenced your senses. Wherever you spend your time at Packwood, (and if luck is on your side), you might spot a buck, monkeys hanging out by the stables or a lone otter. These have been spotted on occasion, playing with our dogs in the dams after heavy rains. If you have ventured out for the day and drive back after dark, you may also even see bush pigs, porcupine, a caracal or even the mysterious shadow of a Knysna elephant. A day trip to surrounding tourist attractions is a must! Both quaint towns of Knysna and Plettenberg Bay are within 30 minutes drive from Packwood, where you will find world class beaches, a multitude of restaurants and options for a fun packed day of anything from shopping to surfing. En-route you will also find the Elephant Park, Radical Raptors, Craft stalls, Food markets and Farm stores selling fresh local produce if you need to stock up. Please ask us about the best beaches in the area. Find out more about things to do near Packwood here. Our immediate surroundings of pristine forest, provide opportunity for an easy family ride, through to a fast-flowing single-track meander through shady plantations, coastal fynbos and indigenous forest; a Mountain bikers heaven! We have world class MTB trails within a few turns of your peddles from Packwood itself. There are a variety of very well attended annual MTB cycle races through the pristine forests that back onto our farm, namely, The Oyster Festival races in July, The 3-day Dr Evil in September & The 85 & 55 km Tour de Plett marathons in October. These routes can be accessed from Packwood without even having to get in the car. Alternatively the Harkerville yellow, blue, green and red tracks are incredibly scenic. You can even take a loop to the cliffs edge, overlooking the ocean. All tracks in the area combine a mixture of double and single tracks and various levels of difficulty, so there is something for the whole family. Southern Comfort Quad Biking tours are a 5 minute drive from Packwood and they offer guided quad bike tours on 250CC quads following exciting, adventurous and reasonably challenging off-road tracks. There are also a number of beautiful walks and hiking trails all around Packwood Estate or in Harkerville nearby. The forests around us are so vast and so pristine and unspoiled that you often only share the paths with very few other walkers, if any at all. There are a number of routes and trails with varying lengths and levels of difficulty. We will happily guide you in the right direction. Whether you are looking for an activity filled week or complete peace, harmony and relaxation, a stay at Packwood will suit all types but please note, this list is far from extensive so if you have particular interests or hobbies, please ask us and we will do our best to accommodate you. Step gently, inhale deeply and open your eyes to the beauty of nature. Relax, unwind and experience a true taste of country living by staying at our country house of one of the farm cottages. Packwood is very well suited to longer stays. At the Lunch Box we serve cheese platters & Breakfast & Bubbles using produce from the, dairy, vineyard and gardens. Mon-Fri 8.30am - 11am / Sat 10am - 11am. Mon- Fri until 3pm / Sat until 2pm. To find us, take the Fisanthoek turnoff on the N2, 6 km on a good untarred road. We are 20 km from Plett and 25 km from Knysna, 1 hour to George airport and 2 hours from PE airport.